HOPPY EASTER! 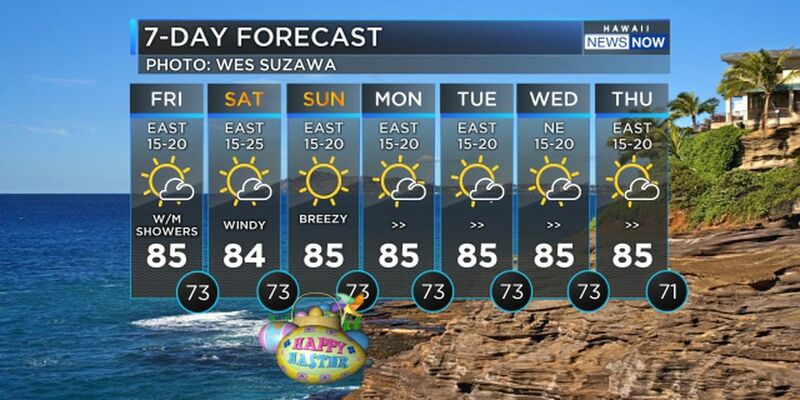 EGGcellent weather is here. Our high pressure fan is holding firm and that means the trade winds will be steady. 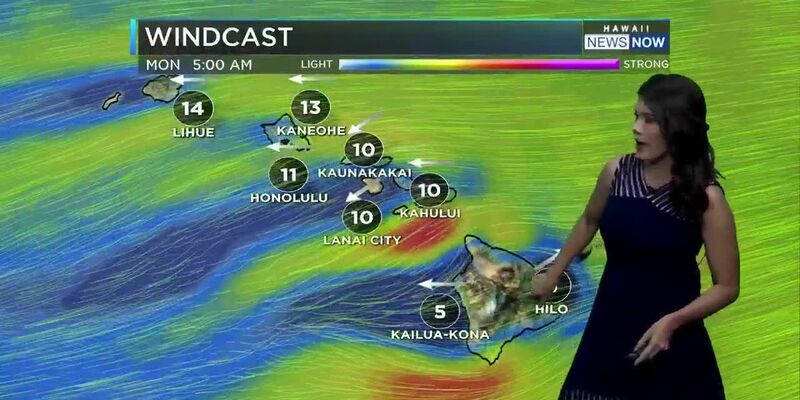 The trade winds will be coupled with passing windward and mauka showers. Trade wind weather prevails over the next several days with a surface high pressure persisting far northeast of the area. 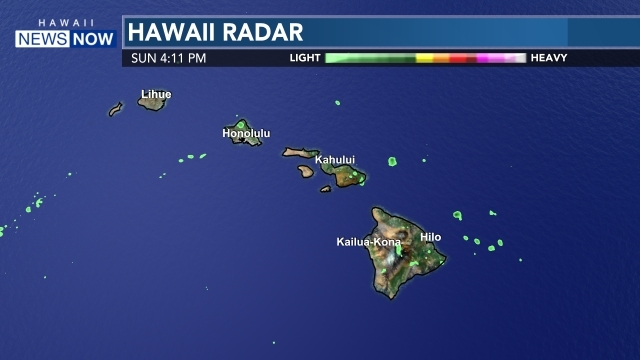 Clouds and passing showers will favor windward and mauka areas with most leeward locations remaining dry. Winds may weaken late next week as a front approaches the area from the northwest. On Sunday, a new record for Kahului... reaching 90 today breaking a record from 1951 (89). The NWS had a small craft advisory for the channels over the eastern end of the state this weekend. A small, long-period west-northwest swell is expected Monday through Wednesday. Surf is expected to increase a bit along south facing shores Monday, and hold steady through midweek. Surf along east facing shores will remain up into the early part of next week due to the trades. Wishing you and your ohana a very Happy Easter!